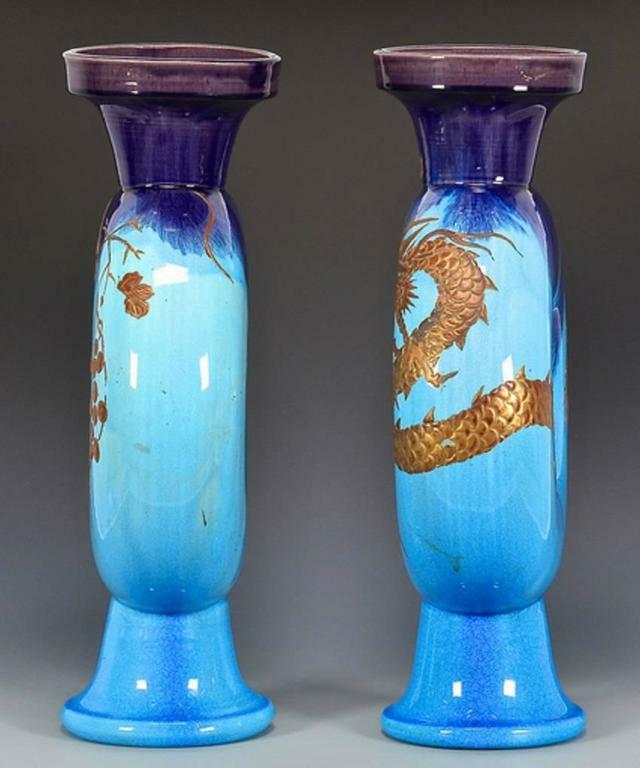 A fine and large pair of modernist/ art nouveau flask form chinoiserie vases, lovely sea and cobalt blue glazing with applied gold gilt dragon and grape designs. Dimensions: large size 18 inches tall and 11.5 inches wide Age: 1890-1910. 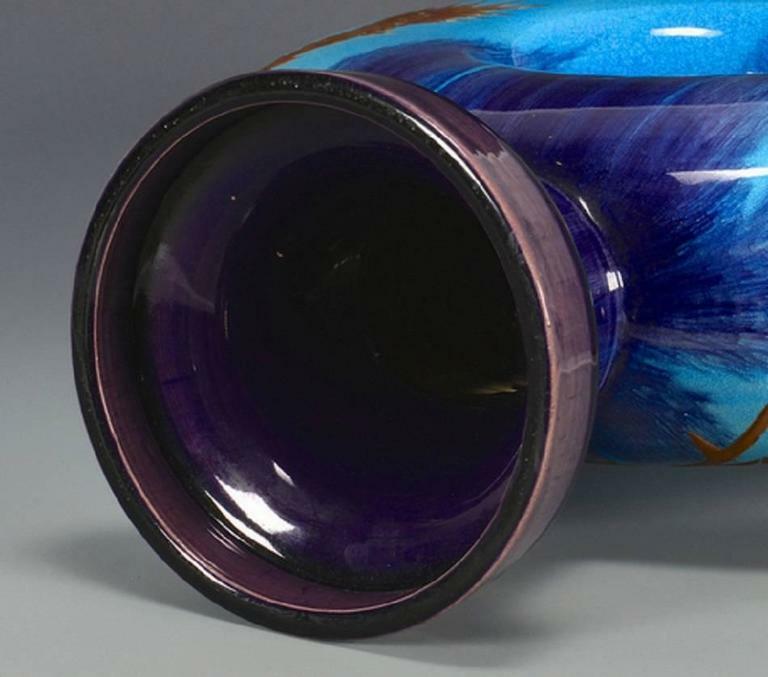 Quality: Gorgeous color; provocative shapes. Hand made, hand painted. 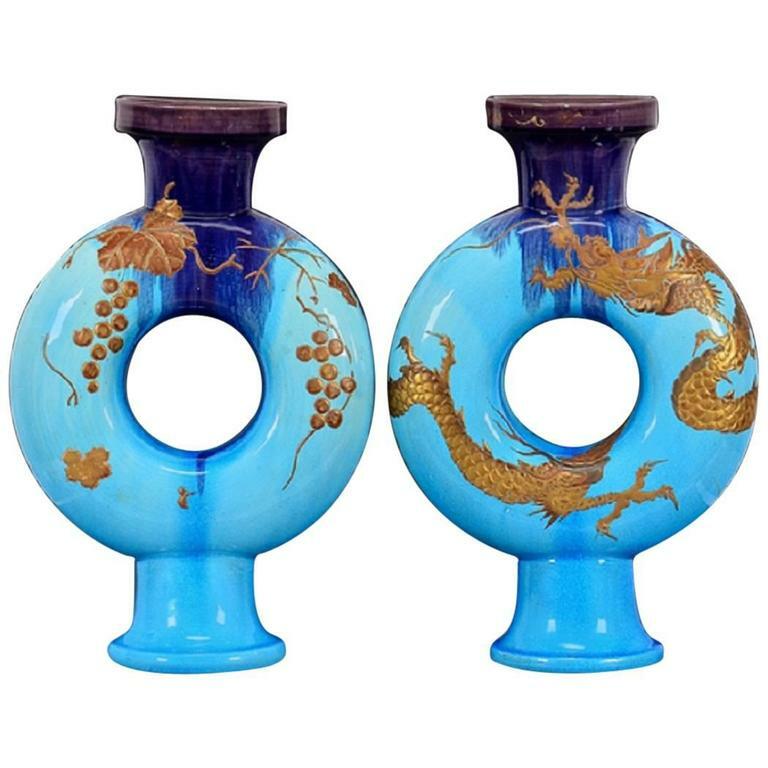 Only one pair History: Chinoiserie is the European interpretation and imitation of Chinese and East Asian artistic traditions, especially motifs in the decorative arts, architecture, and garden design of the 17th through 19th centuries. 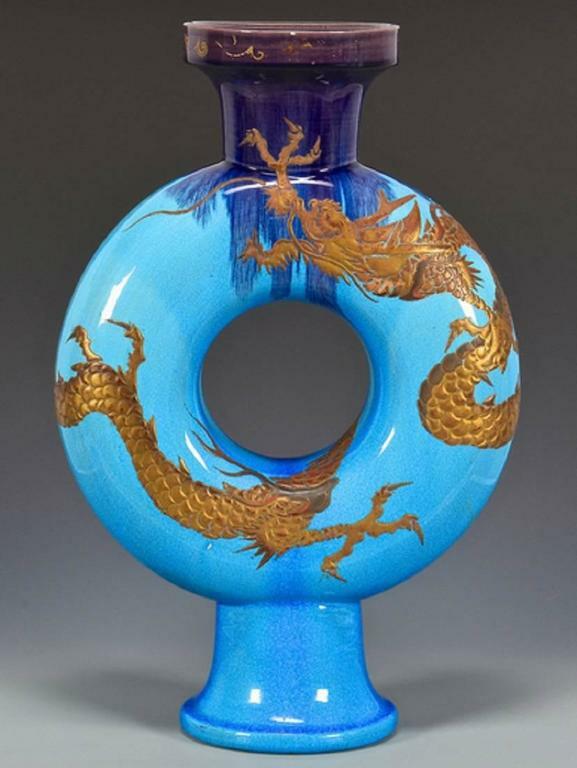 Lifetime guarantee of authenticity: All of our works of art come with our Lifetime Authenticity Guarantee. 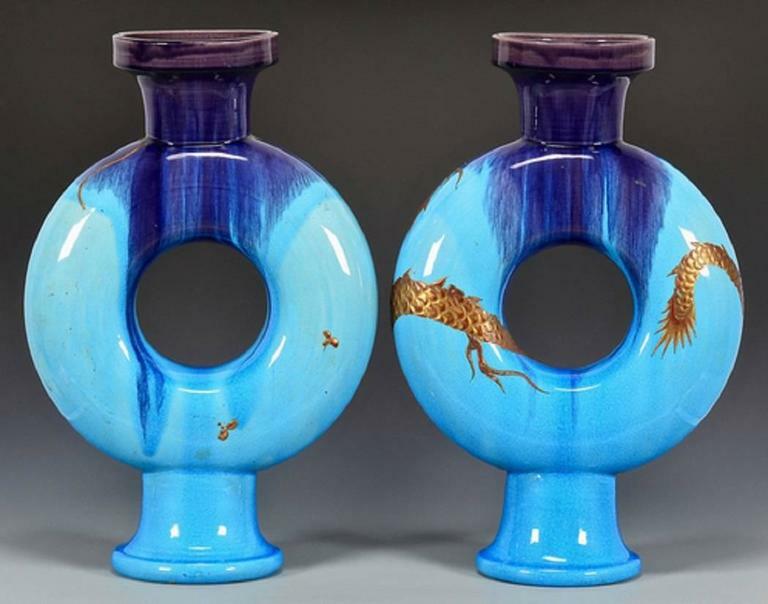 Rare Pair of Imari Porcelain Vases with Polychrome Decor, Japan, 19th Century. A fine quality hand-painted 19th century lidded Imari vase, having classical exotic oriental floral decoration with birds, flowers and motifs.